September is Childhood Cancer Awareness Month. 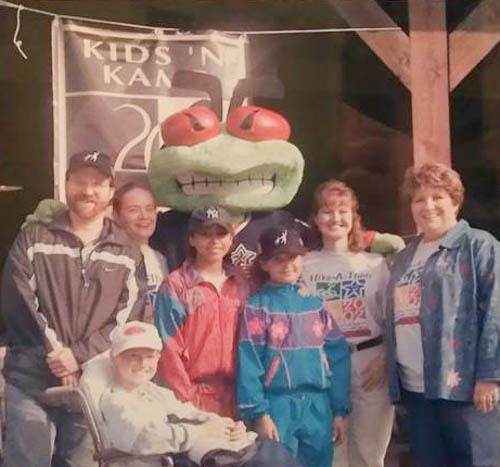 Until I met my friends the Millers, I was careful to pray for children with cancer, but I did so in an ignorant, far away-hasn’t-happened-to-anyone-I-know sort of way. 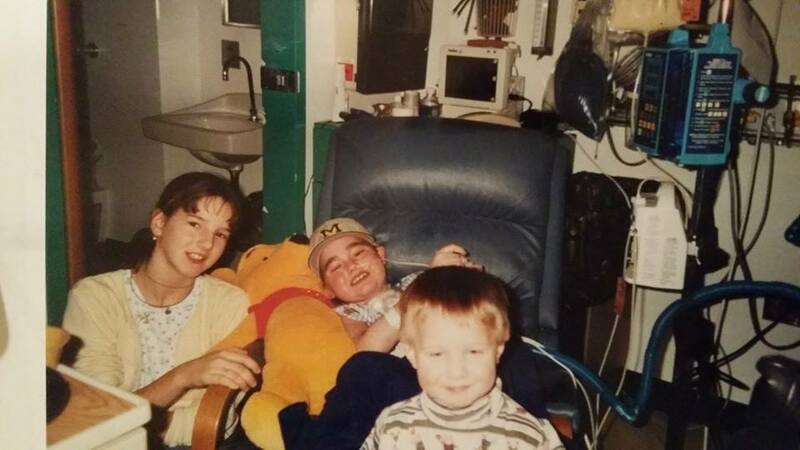 I’d see the commercials for St. Jude’s Hospital and tears would spring to my eyes as I prayed a quick prayer of thanksgiving that my child is not (fill in the blank) and simultaneously felt guilty and uneasy because I did not know how to bless such a family, short of writing a check to St. Jude’s. And then the Lord blessed our family with the friendship of the Millers — a lovely couple with three children who I am growing to love like my own. I have learned a lot from the Millers about standing in the midst of storms while keeping hold of faith. About seeing fragments of grace even in shattered pieces of medical malpractice. About walking a life in faith through unimaginable pain and sorrow, while still maintaining a strong marriage. In honor of their faith, I’m sharing their childhood cancer story as they shared with their friends on FaceBook (with permission). The words are theirs, not mine, and I am continually in awe when I see their steadfast GRIT in handling the multiple storms that have crashed in on their lives. 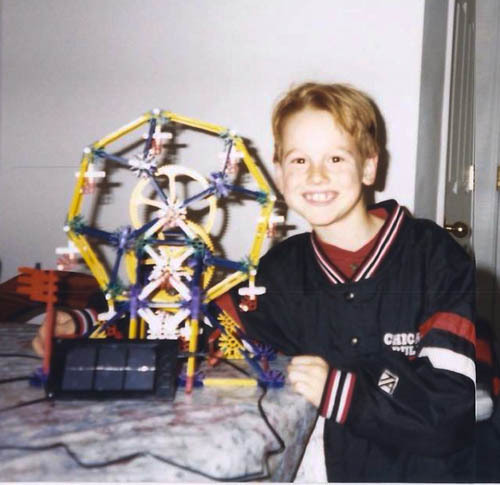 Then, in February 2000, CS was diagnosed and began receiving his first week of induction treatment, in which most patients obtain remission. This initial week, he had a white cell count of 274,000, and received apheresis, (kind of like what is done during dialysis, but it removes leukemic white blood cells). The count was so high the doctors said he was in danger of stroking due to the platelets being so low as well. After one month he still had 18% circulating cancer cells, which was a remission failure. After more chemotherapy, CS was still in remission failure. 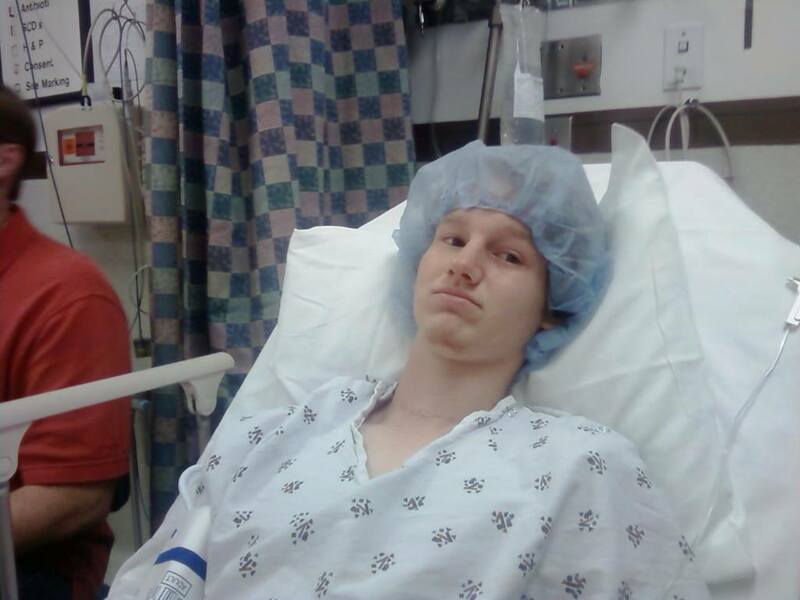 They got him close to remission as he headed toward a bone marrow transplant. 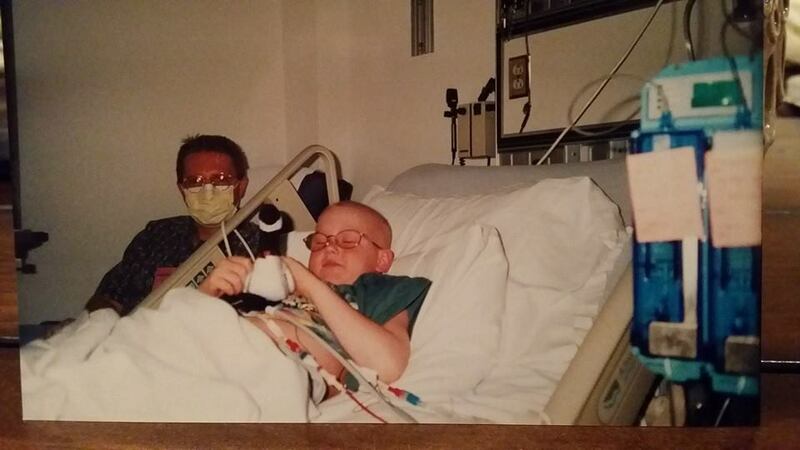 On May 12, 2000, CS’s sister Nat recovers from bone marrow harvesting. 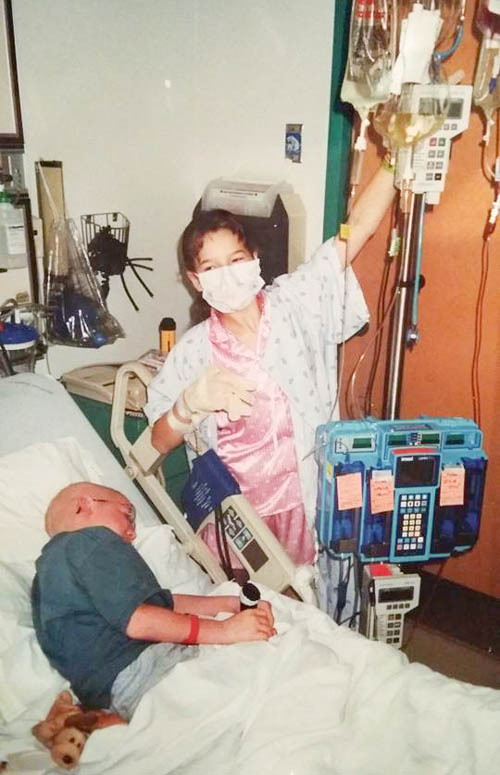 She was a sibling match for allogeneic bone marrow transplant. Yes, that is a book in her hand. Yes, it is by a British author. 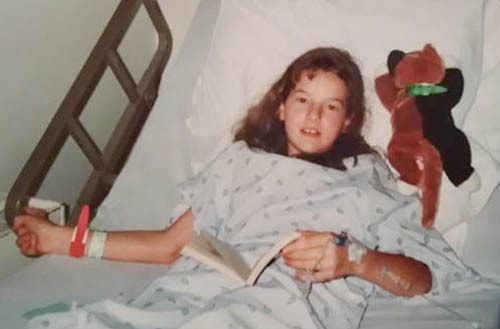 Even at the age of 11 she consoled herself with C.S. Lewis. Bag of Bone Marrow. Not what you thought? Me neither!! 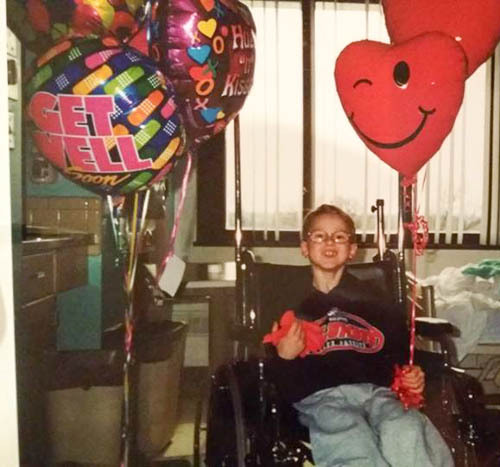 At the end of June 2000, CS was allowed to go home from the transplant. This is the first time their younger son had seen CS in nearly a couple months. So CancerSlayer was able to return home, and he was doing really well. Until Thanksgiving of 2000. 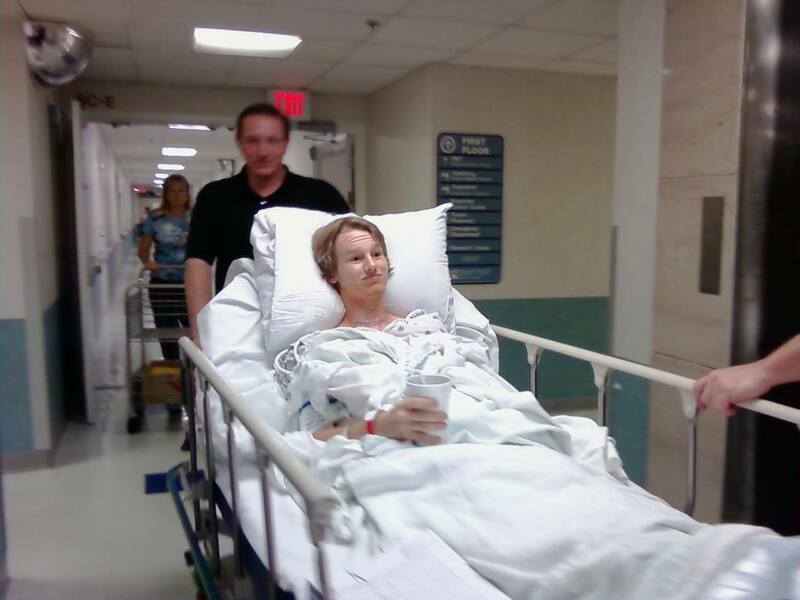 CS went to the hospital on Thanksgiving Day with a fever. During the night he went into respiratory arrest called ARDS — Acute Respiratory Distress Syndrome. ARDS happens when fluid fills up the alveoli in the lungs, depriving the organs of oxygen. It usually happens to people who are already suffering from a severe illness, and often it is fatal. It was a holiday weekend. Dr. M was called to come in and check CS. By the time she arrived, his oxygen needs were very high, and he was sinking fast. She told me we didn’t even have time to wait for ICU to come transport. 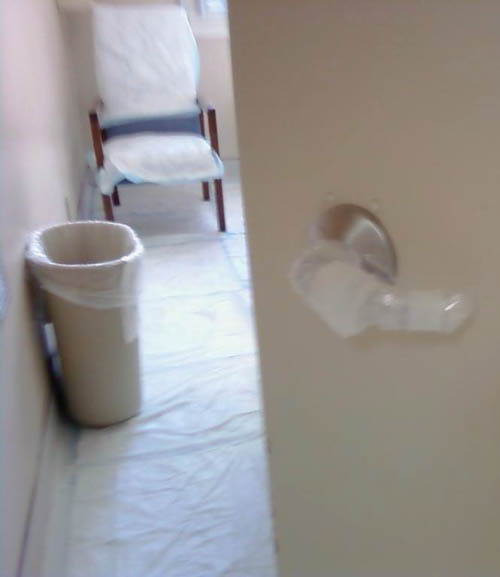 She asked if I could help push while she bagged him…. so we raised the bed brakes and unplugged his bed and IVs. 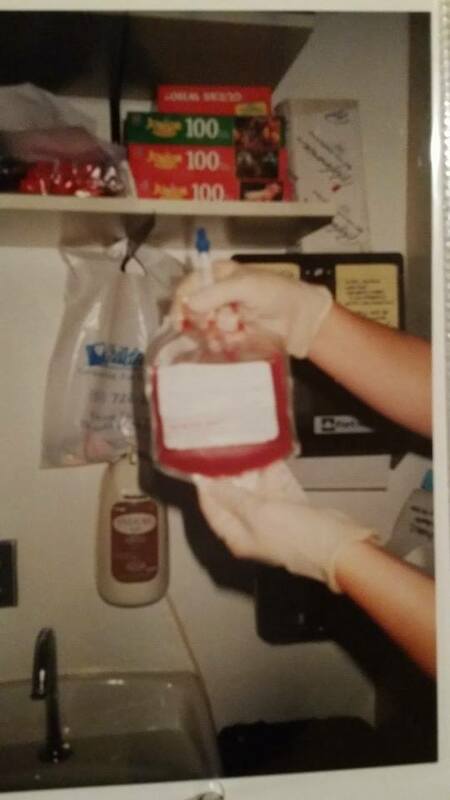 She bagged him and pushed and I pushed and steered through the door, to the elevator to the ICU, where a team was waiting to intubate him. ARDS is horrendous! 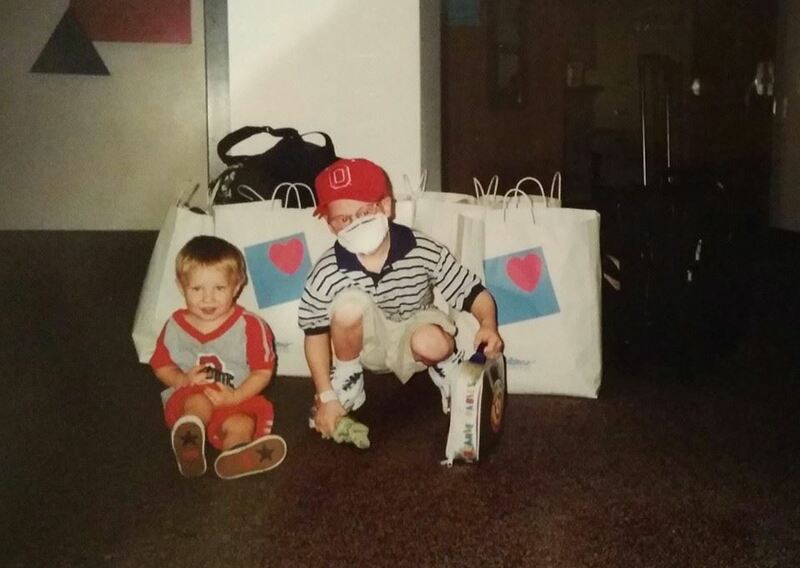 A trache, experimental therapy with an oscillator for premature babies, prayers, Ketamine, and a miracle, CS lived through it. We were told he wouldn’t. We were told he would be a vegetable. We were told to take him off life support. I have never known a person with more fight! After being released in January, he was so frail, yet he would not let us carry him upstairs. Instead, he sat on a step, pushed up to the next step backwards with his legs, all the while pushing up with his arms. He let us carry him only when we demanded it. This photo was taken in December 2000 after his bout with ARDS. 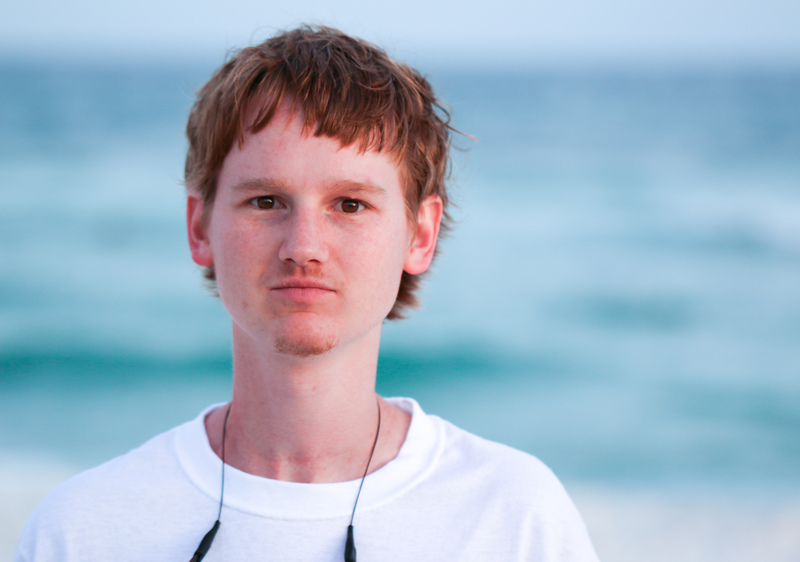 At this point in his life, CS had lived through resistant leukemia and a life-threatening lung condition. He did well, until October 2002 when he was diagnosed with a liver tumor. 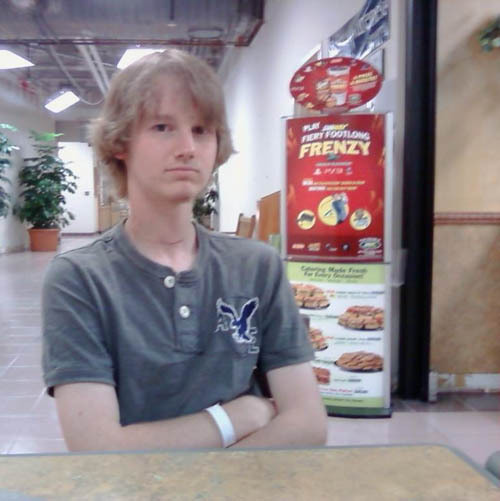 He was such a skinny guy. One day while he was tucking in a shirt, we noticed a bulge in his ribs. It took several weeks to get the pathology back because there were some cancer-type cells in the mass. The sample was sent to Emory so that the top pathologist for this type of mass could finalize a finding: IMT of the liver. The inflammatory myofibroblastic tumor of the liver had a type of lymphoma cell, but most of these IMTs do not metastasize. So his treatment was surgery only, with no chemo. CS now has a scar, with which he teases unsuspecting individuals about an encounter with a shark as the cause of the scar. He has fun with it now. It was also in 2002 that CS experienced growth hormone failure, adrenal failure, and a diagnosis of brain injury due to hypoxia from his earlier bout with ARDS. Fast forward eight years to 2010, when CancerSlayer lifts his sword again towards cancer, this time of his thyroid. Here he is in pre-op for his second thyroid surgery in a month. A previous surgery revealed the thyroid cancer was metastatic. 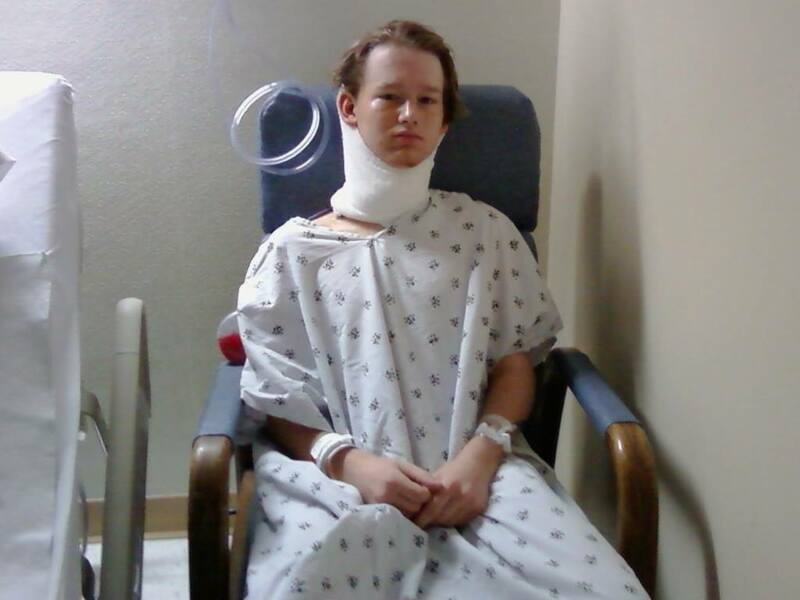 This is what radical neck dissection looks like afterwards. Doctors removed the rest of the thyroid, two parathyroid glands, and 30 lymph nodes from under his ear, jawline, neck and upper chest. The prayer and love of friends helped CS and the family through this time. 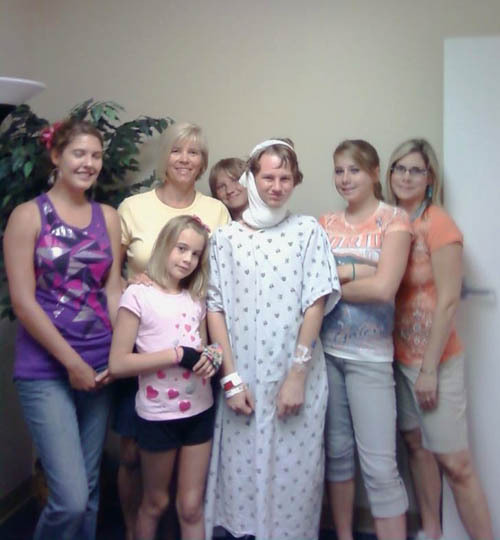 Here is a group of friends who came to support him after surgery. Here is an enduring soul if ever there has been one! Yet surgery wasn’t the only treatment required. Two surgeries down for the thyroid cancer, we now waited at 7 am at the hospital for Iodine 121 radiation therapy. The endocrinologist met us with a lead box which contained the pills that were prepared with the radioactive element. BOTTOMS UP! (I’m not making light of it- rather, it seems like a sadistic, ironic, treatment.) This third go-round wiped him out! This photo was on the wall outside his isolation chamber. This is a bit of a look into his isolation chamber. The medical staff taped bed padding down to the floor and chairs, and they taped coverings to items that nurses would come in contact with. 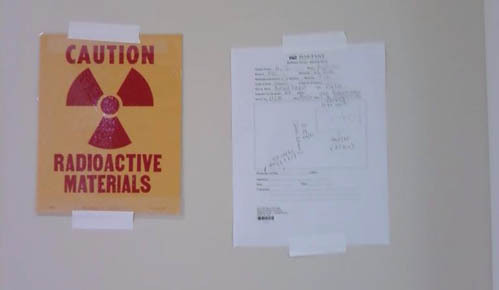 This precaution prevented radioactive by-products from contaminating surfaces. The safety precautions created a safer clean up. Yes, as a parent this treatment is contrary to every instinctive fiber in your being. 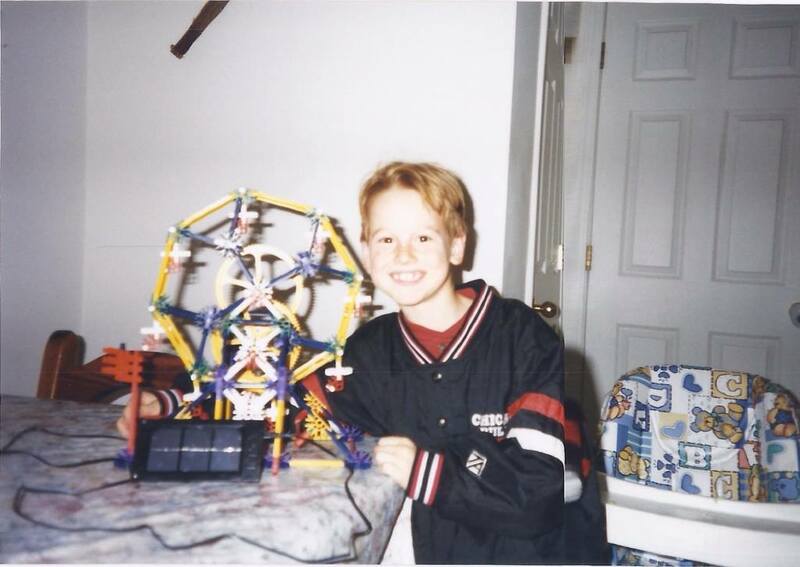 CS was an adult at this time and thank God he could help in decisions. He had decided if the scan showed tumors throughout his body, rather than just the 30 lymph nodes he had removed, that he would not pursue any treatment. He had had enough. The next two years, CS was watched in Dallas and had his thyroid hormone levels maintained high to suppress any other microscopic, metastatic cancer cells. He is cancer free still as of this post. I continue to be in awe of the Miller family and their ability to persevere despite setbacks that would leave most of us crawling head-first into the closest, deepest darkest hole we could find. They’ve used their experiences to help other families find a way to live through some very dark spaces. 1. To acknowledge Christ in all our ways…. even in the way of dread and crisis and fear. He has been the boat by which we have been carried on these seas. 3. It is VERY likely you will hear about a child/family dealing with this horrible health crisis. Help them during and after care. Mow, buy groceries, do fundraisers, do not pull away. Understand they have to change their focus. Send them gift cards for eateries and gas. There are a host of ways they need help — and no, they don’t want to ask for it. Parents already feel powerless… Asking for any help in other areas can just add to that feeling. 4. Consider registering as a possible bone marrow donor at: http://www.marrow.org/. CS’s first diagnosis was A.L.L. Leukemia, (the most treatable childhood cancer). 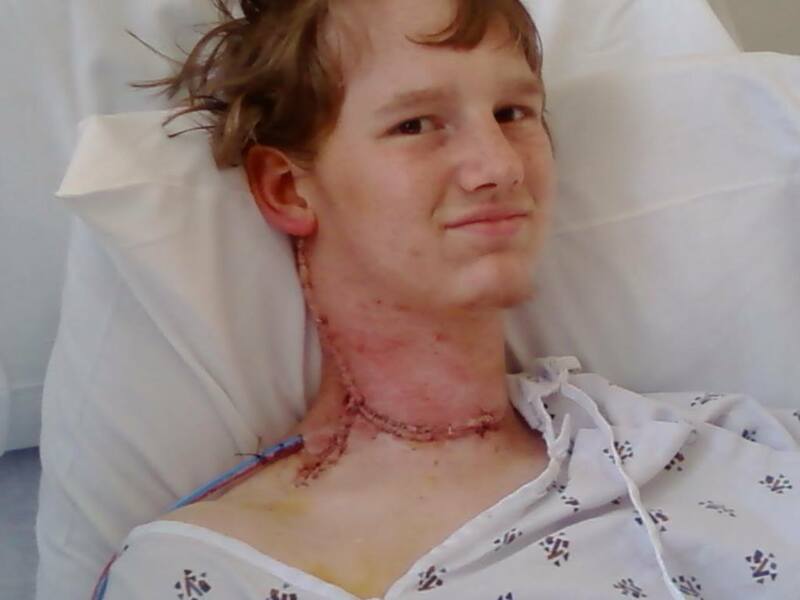 Yet still, BMTransplant was the only option for his non-responsive cancer. So will you join me in praying and looking for ways to support families you who are walking through the valley of the shadow of death? It’s my joy to honor the Millers, but I know there are countless others who are still embroiled in a battle for physical wholeness. By joining together, we can be the hands and feet of Jesus to those families who need it in their most desperate hours.